Welcome to Cook Transport , a major player in the specialist UK and European heavy transport industry. Our proven experience as a heavy transport company in the UK and International markets, combined with our fleet of vehicles, ensure we are positioned perfectly to offer full service capability to our customers. With the aim of providing a market leading, integrated European-wide heavy transport service to our customers. Our people have over 40 years experience of the international heavy transport industry, which is combined with dedication and a desire for innovation. 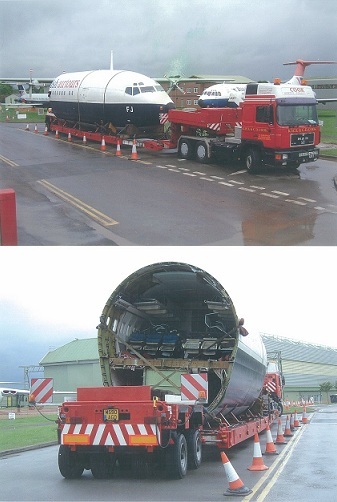 Our experience and capability enables our geographic focus to extend beyond UK heavy haulage. Our business is largely based upon heavy transportation in the UK , as well as the euroupe. We acknowledge that our success depends upon working in partnership with our customers at the earliest possible stage. Our highly skilled staff will work with our customers before, during and after transportation to deliver the most effective service in terms of both cost and innovation. We listen to our customers and understand their marketplaces. Furthermore, we share their belief that a reliable and high quality heavy haulage service is crucial to both them and their customers. Such an understanding has led to more customers turning to Cook Transport to transport their abnormal loads across UK and Europe.